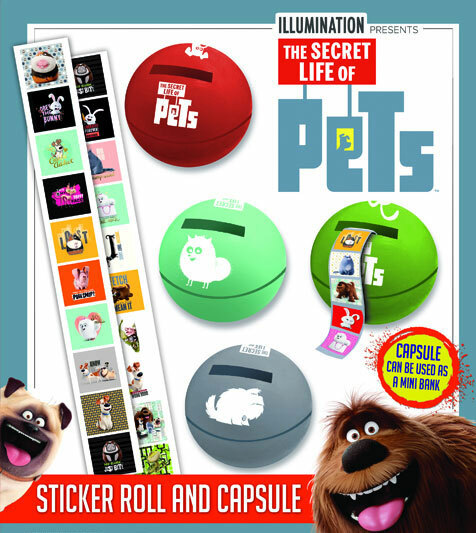 Our Secret Life of Pets Sticker Rolls are going to be loved by kids! Each self-vending coin bank includes a roll of stickers featuring Max, Duke, and all their friends. Try and collect them all! Every bag offers an assorted mix of 200 toys which are ready to vend and will dispense in machines with a 2 inch capsule vending wheel. The display card (as pictured above) is a blister display with a sampling of the items found in the mix and is included FREE.